“Who run the world? Girls!” I couldn’t agree more with Beyoncé when she sang those words, feminist that I am. The ugly truth we have to face today is not Mr Dicaprio’s Oscar miss, it is that women are not seen for what they are, the cogs that turn the world around. March 8th was celebrated as International Women’s Day and no, we women did not paint the town purple because one day is not enough to sum up the essence of womanhood. Nevertheless, that should not stop you from celebrating when you have the chance! Take a leaf out of Manipal University Dubai's book. 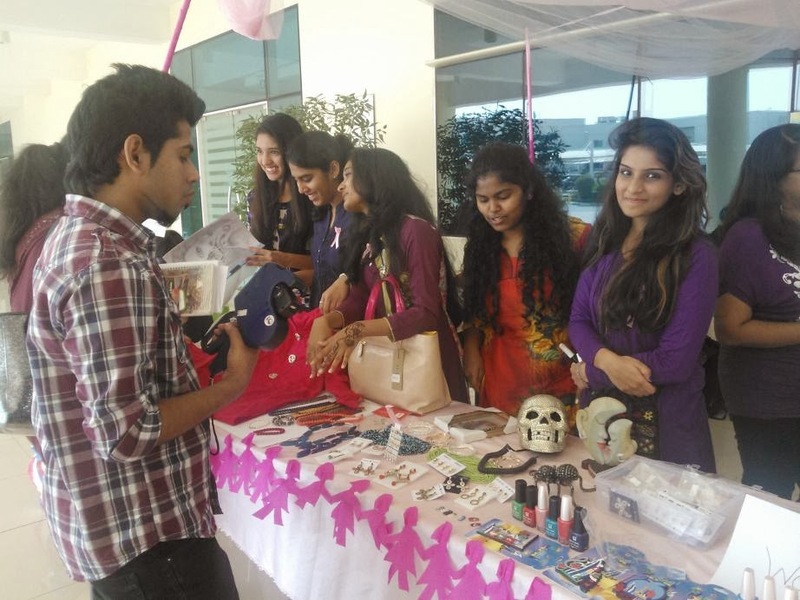 In the true spirit of Women’s Day, the students of Architecture and Interior Design departments set up purple stalls at the university campus. From hand-crafted phone covers to scented candles, they sold it all, with the proceeds going to charity. Their simple idea proved successful not only in attracting crowds of students but also in keeping up with the theme of this year’s women’s day – Inspiring change. The stalls added a splash of colour on campus and were a pleasant change to the rut of everyday university life, inspiring us to give for the greater good. The writer is a first year undergraduate student from the School of Media & Communication.